Sonny Fulks is a graduate of Ohio State University where he pitched four varsity seasons for the Buckeyes from 1971 through 1974. He furthered his baseball experience as a minor league umpire for seven seasons, working for the Florida State League (A), the Southern League (AA), and the American Association (AAA). He has written for numerous websites, and for the past fourteen years has served as columnist and photo editor for The Gettysburg Magazine, published by the University of Nebraska Press, in Lincoln Nebraska. His interests include history, support for amateur baseball, the outdoors, and he has dual arts degrees from Ohio State University. I’m on the Cody Carnes theme again – nobody asked me, but – so I’ll share some thoughts about the Reds, present and future, and a very few words of prediction about your “Who Dey” Bengals, 2018. For how many years now, uh, I’ve lost count…the Reds have stumbled to the finish line, irrelevant, the front office totally unaffected by the stark reality of the “the rebuild”. No one seems to have figured it out, that if you keep doing the same thing year after year you’re bound to end up the same way…year after year! Look, I wrote in April that there’s not another team in major league baseball that needs a total shakeup like the Reds. And I rest my case now that it’s September. If you go back and read what I said then…I said they’re destined to lose 90 again because their pitching is a unmitigated disaster. And damned if time, and pedigree, hasn’t proved me right. Look, I know something about baseball, and instinct for it. And I especially have an instinct about pitching. So…when I see a Sal Romano go out there and make the same mistakes every day; when I see a Tyler Mahle go out there and pretend his stuff outranks his deficiencies; when I see a Homer Bailey go out there and pitch with the clock ticking faster than his fastball; when I’m reminded that the Miami Marlins were willing to give up Anthony Desclafani; when I realize that only Luis Castillo really commands big league stuff among this crew; and when I realize that basically it’s the same group the Reds are counting on for 2019…what makes you believe they won’t lose 90 again next year? 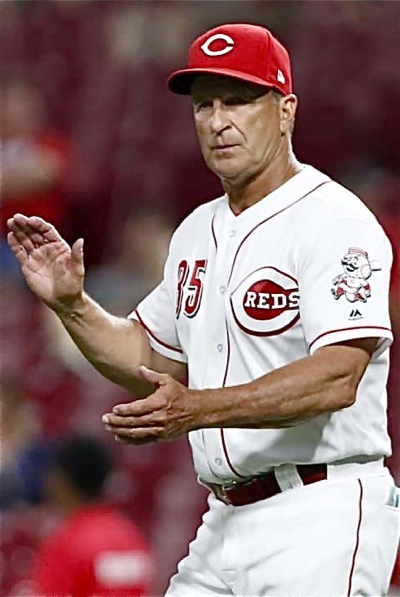 He deserves credit, sure, but Jim Riggleman deserves dependable starting pitching even more. Credit Jim Riggleman, by the way, for taking a bad situation and winning 41 of 78 games in May, June and July. But remember, too, that the Reds were also knocking hell out of the ball in those days, and what goes around comes around. There came a time when they didn’t, when the pitchers needed to shut someone out. But they couldn’t. As it is now, the Reds starting pitching ranks dead last in the National League in every major category. Which by conventional thinking would lead management to go out and pay for some credible help in the off-season. That would be conventional thinking of course, but the men in the suits are so hung up on the terms “small market”, and “prospect”, that they can’t see convention in this. No, we’ll just bring up another draft choice prematurely, put him through the wringer, and convince the starry-eyed fans they’re having fun at the old ballpark. What’s another fifteen years? 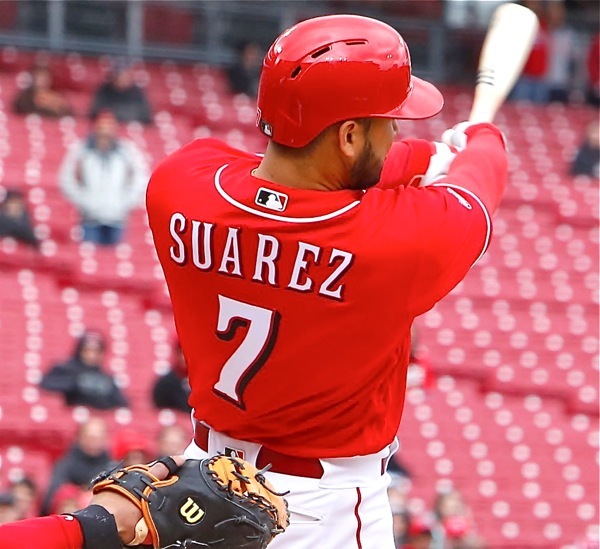 In the meantime Suarez, Perazza, Votto and Scooter will score enough runs again next year to make them tantalizingly close for a couple of months. Chris Welsh and Thom will break out a new book of superlatives, then the inevitable crawl-daddin’ come August when the arms fall off and the bullpen’s tongue hangs out. But then…to make it interesting they’ll also bring up Nick Senzel, who will show enough to forecast sensation for 2020, because after all, hope springs eternal, and who doesn’t crave the sound of bat meeting baseball come February, regardless of the last five years. All hail the rebuild, eh? Call now to talk to a season ticket representative. ML Dunn has moved. Check out their new location on West National Road in Englewood. Don’t trust the line…by mid-season Andy Dalton will be running for his life, and gaining more ground than the running backs. 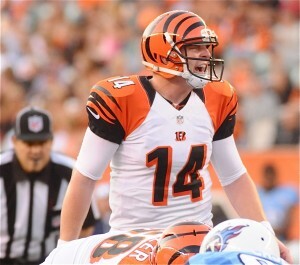 As for the Bengals…I didn’t watch the game on Sunday, but I did watch some replay. The Colts are awful (Andrew Luck is pretty cool, though, or at least the Andrew Luck story) and the Bengals struggled mightily to play past their old demons and win. Bottom line, I don’t trust the offense. I don’t think they can run the ball against the teams that say, “no you don’t”. By mid-season I think Andy Dalton will be running for his life again, and Tyler Eifert will be on the physically unable to perform list. That said, I believe in their defense and some of the new people like Carl Lawson and Sam Hubbard. I think they’ve drafted OK, but eventually even those names will become Bengalized. Are they better than 7-9? They could be, until they have to play Pittsburgh and games that really matter. Or when Vontaze comes back from suspension and becomes the annual distraction. But in reality, the offensive line isn’t good enough, pure and simple. And if they go 8-8 that’s fine for Mike Brown and the marketing department. It’s incentive enough to do it again next year. Recieve FREE PressPros updates via email. Baseball, Beer, And The Clydesdales. The Story Behind The Song…..
Loramie “Rusty” In Encore Win Over Versailles….